Owen Ogletree's Guide to some newer beer bars in Athens, Georgia in 2006.
near the end of the first annual Terrapin Athens Pub Crawl. Many beer fans who make the annual trek to Athens for the Classic City Brew Fest ask me for updates on the new bars in town. This website lists some of the best new beer pubs, bars and restaurants that have popped up in the last couple of years. These bars don't really have the wide range of microbrews and craft beers that can be found in the pubs on our main Athens page, but they do offer fun atmosphere and an interesting change of pace for Athens beer loving residents and visitors. Print out this page and refer to the map to find each location. Some of these nouveau pubs don't open until after 5 PM, so be sure to check the hours listed below. Send Owen an email with your comments and suggestions regarding this pub adventure. Walker's is housed in the old location of Blue Sky Coffee and offers the thirsty Athens pub crawler a choice of pastries, cookies, bagels, sandwiches, espresso AND fine beer. The small, cozy downstairs pub opens at 9 PM daily (closed Sunday) and has two dart boards and one table football game. There are sofas and padded benches that provide a comfy place to sit and enjoy the pub's three draft beers and over 50 bottles - Duvel, Sweetwater, Terrapin, Sam Smith Nutbrown, Anchor Steam & Porter, Abita, and Sierra Nevada Pale Ale being the standouts. Most of the bottled beers are available upstairs in the coffee shop as well, but if you arrive at 7 AM, we suggest you have a latte. Amici's manager, Lindsay (pictured above) pours a pint of Terrapin Rye Pale Ale. Turtleheads will be pleased to note that Amici's usually offers all the current Terrapin beers on draft (including the current "monster beer" selection). There are seven taps here and around 20 bottled beers to enjoy with the delicious pizza, mozzarella medallions, hot wings, sandwiches, subs and pastas. Be sure to check out the Italian mural on the wall opposite the bar and the toy train that cruises along a track that runs along the ceiling. It's "all good" at Allgood Lounge. This big, two-story bar has no food, but around 75 bottled beers and four drafts (two of which are usually from Terrapin). A variety of bottles from Sweetwater, Samuel Smith's, Fuller's, Ommegang, Sierra Nevada and Anchor grace the cooler shelves. Notice that the front door sits beside two large roll up garage doors (the place was an autoshop in a former life), and be sure to walk upstairs to enjoy the outdoor tiki bar and two pool tables. Hours are 4 PM to 2 AM Monday through Saturday. Transmetropolitan is a hip pizza joint downstairs and an attractive pub upstairs. Downstairs opens at lunchtime and bar patrons can head to the second level starting around 4:30 PM M-F and 12:30 PM Saturday and Sunday. Old portraits, sofas and multiple side and back rooms grace the upstairs - along with a "build your own Bloody Mary bar" on Sunday. Beer fans may choose from seven upstairs taps that include Guinness, Terrapin and Sweetwater 420. There are a dozen or so good beers on Transmet's bottle menu as well. Located over near the world famous 40 Watt Club, Max Canada (formerly Room 13) offers one of the best beer selections of any pub on this report. Athens' alternative "townie" crowd comes here to enjoy around 50 bottled beers and four drafts. Many high-gravity, strong beers are included in the menu (at very reasonable prices). Split an Anchor Old Foghorn with a friend and play pool, darts or a video game. The huge, outdoor side patio is very popular during the warmer months of the year. Max Canada is open 4 PM to closing Monday through Saturday. 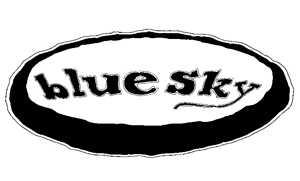 Featuring almost 200 bottled craft beers, Blue Sky strives to provide a world-class selection of fine beverages in a comfortable, yet refined, atmosphere. The selection of beer and wine is in constant flux, changing with the seasons and the availability of limited offerings. No matter what your taste, though, it is certain that we have something to satisfy your palate.